Sitter: Blanche, Baroness Howard de Walden, later Baroness Ludlow, n�e Blanche Holden (d. 1911). Biog: Eldest daughter and co-heir of William Holden, of Palace House, Lancs. ; m. 1stly (1876) Frederick George Ellis, 7th Baron Howard de Walden & 3rd Baron Seaford [separated 1893]; m. 2ndly (1903) Rt. Hon. 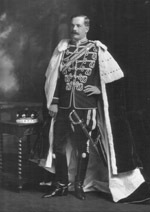 Henry Ludlow Lopes, 2nd Baron Ludlow of Heywood. Jewellery: Diamond tiara of rising suns and foliage (& other pieces). Furniture & Props: Painted backdrop; armchair. Jewellery: D. Scarisbrick, Ancestral Jewels, London, 1989, p 153. 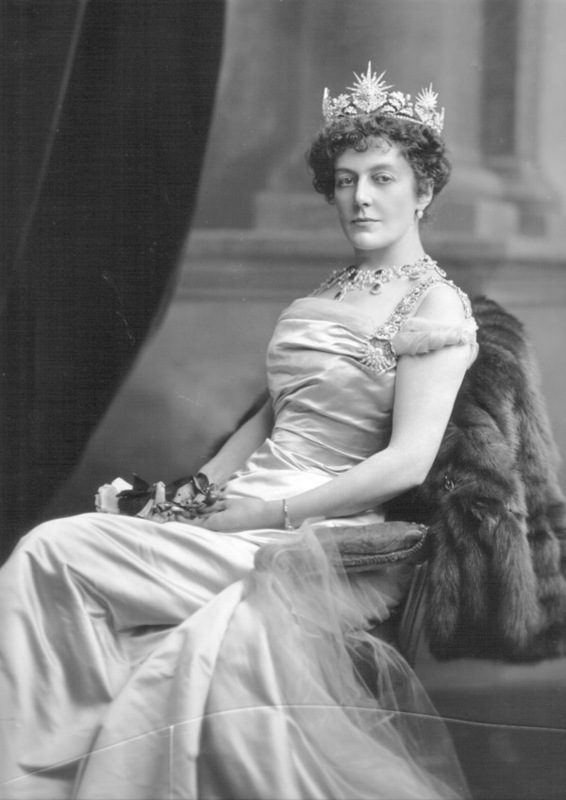 Reproduced: (croped) The Gentlewoman, 12 July 1902, p 41; (version) Chic 4 October 1902, p 201; (versions, published on her marriage) Madame, 7 March 1903, p 456; The Queen, 28 March 1903, p 496; The Sketch, 17 June 1903, p 301; (version, croped) The Gentlewoman, 8 April 1911, p 459; (version, published on her death) The Gentlewoman, 15 April 1911, p 484.